The Hercules is the strongest light-duty wheel-lift on the planet. 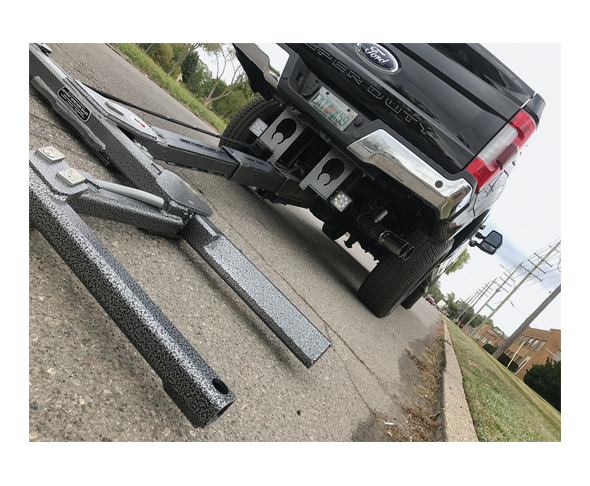 Hides completely under the bumper, no plastic wear pads, perfect for fifth-wheel applications because bed is completely open for use, with 4,000 lbs. lift rating and 8,000 lbs. tow rating. Lifetime warranty on pins and bushings, with proper maintenance. Call 313-835-8700 or visit www.detroitwrecker.com.